Brexit negotiations are under way in Brussels with the EU's chief negotiator expressing concern about progress so far. Michel Barnier has said more work needed to be done to protect cross-Irish border co-operation. The latest talks began on Monday and Northern Ireland issues are set to be discussed on Wednesday. 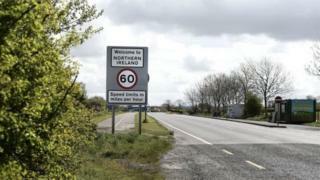 He previously asked the UK to clarify how it will maintain the common travel area (CTA) between the UK and Ireland. Since then the UK has published a position paper on Northern Ireland, which attempts to tackle those issues. The EU has accused the UK of "magical thinking" on the issue of the Irish border. And the UK has said the Europeans are "massively over-egging" their financial demands on the UK in terms of an "exit" bill. On Tuesday, Irish Foreign Minister Simon Coveney called for continued close economic ties between the UK and EU. Speaking to an audience of businesspeople in Belfast, he said: "Our current border arrangement has been a vital part of our shared peace, just as it has been a critical facilitator of Northern Ireland's £3.6 billion of exports to Ireland annually. "This is more than a third of all Northern Ireland exports." "The best way to ensure we preserve the kind of border arrangements that have served us so well is for the UK and Northern Ireland to remain in the Customs Union and Single Market." The UK is set to leave the EU by the end of March 2019, following last year's referendum vote. In the first phase of negotiations, British and EU officials are meeting each month for four days in Brussels.